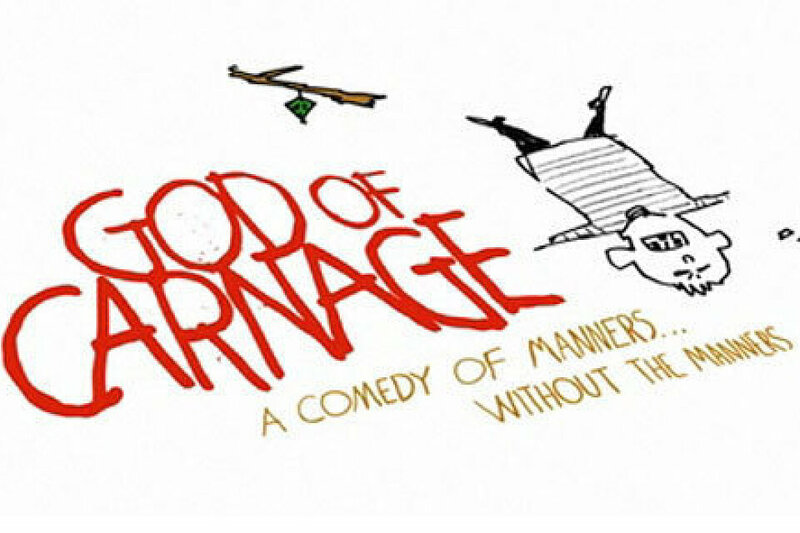 GOD OF CARNAGE was produced on Broadway by Robert Fox, David Pugh & Dafydd Rogers, Stuart Thompson, Scott Rudin, Jon B. Platt, The Weinstein Company, and The Shubert Organization. God of Carnage: Winner of the 2009 Tony Award & the 2009 Olivier Award. Two eleven-year-old boys get into a playground fight before the play begins, which brings together both sets of parents for a meeting to resolve the matter. At first, diplomatic niceties are observed, but as the evening progresses, tensions emerge and the gloves come off, leaving the couples with more than just their liberal principles in tatters. Fast, furious and very funny, the show runs without an intermission and could be the quickest 90 minutes you've ever spent in a theater. Not for the pre-teen set, but with the abundance of smart-yet-naughty laughs, it could score with the teenagers. Be aware there is a steady stream of off-color language. Director: John O. McGuire, Jr. Performances: May 4 - 7 and 11 - 14 at 7 p.m. and May 8 and 15 at 1 p.m. Prior to the two Sunday performances there will be simple but delicious pick-up food from 12 -12:45 p.m. available to those who purchase seats to make it easier for people to attend the show after church. All reservations are general admission. Tickets can also be purchase at the door via cash or check, not credit card. We are unable to accept credit cards at the door. Please click the link above to purchase tickets via credit card.